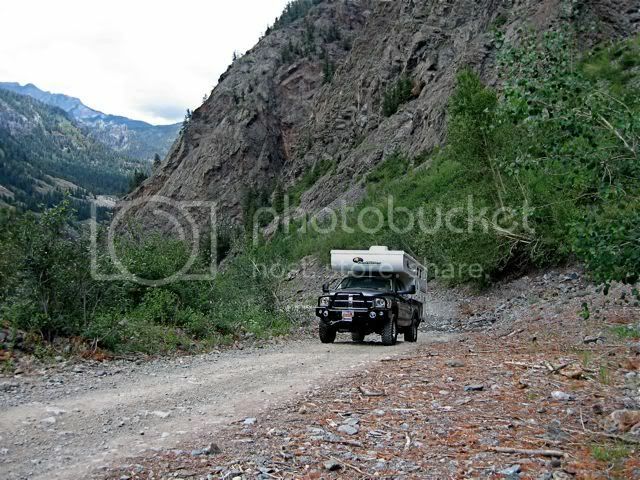 As with our White Rim Trail trek in March (in Utah’s Canyonlands National Park), my wife and I have been on what is now called The Alpine Loop a number of times in small 4x4 vehicles … the last time about 18 years ago. 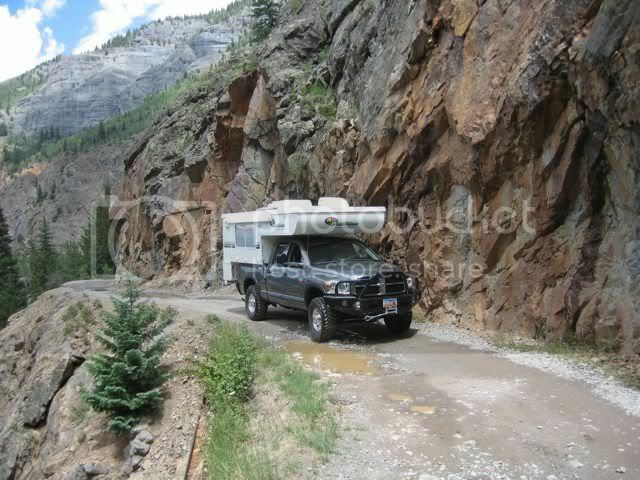 Now that we have a full-sized truck and pop-up camper, we wanted to see if our rig could make it over The Alpine Loop and Ophir Pass in one piece. 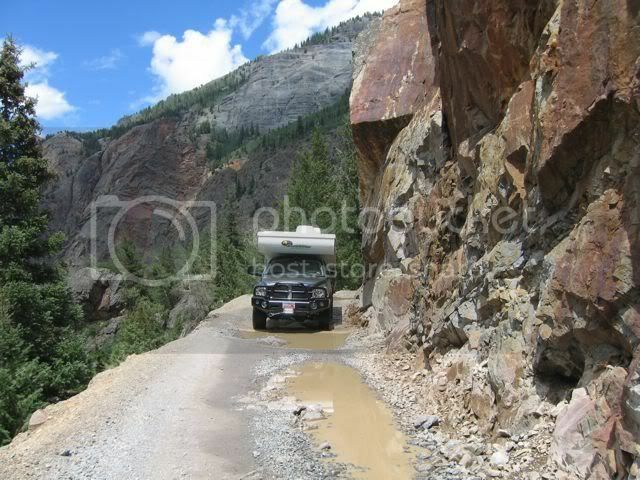 Some TC’ers on RV.net have also expressed interest in doing the Alpine Loop, so we additionally wanted to try to evaluate the 4x4 trail conditions from the perspective of what type of rig could likely do this route without incurring damage versus what rig might not be recommended. 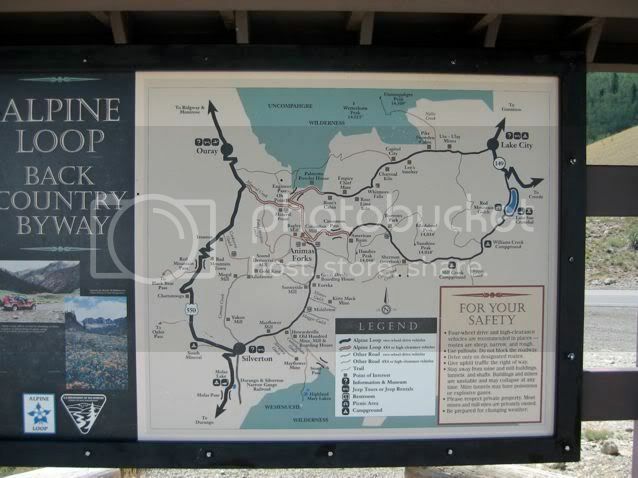 As Silversand is already doing for the White Rim Trail, he plans to generate a travel map of the Alpine Loop for TC’ing reference, so I will be including some GPS coordinates at key points in my trip report to assist in his efforts. 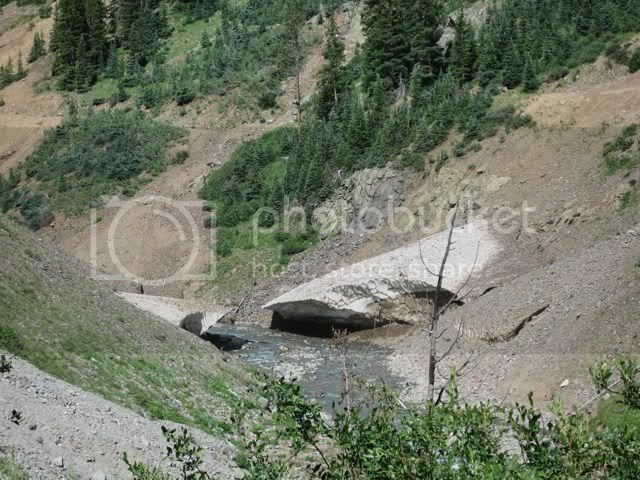 The Alpine Loop is in the heart of the very scenic San Juan Mountains section of the Rocky Mountains in southwestern Colorado and is generally located between Ouray & Silverton on Hwy 550 to the west and Lake City on Hwy 149 to the east. 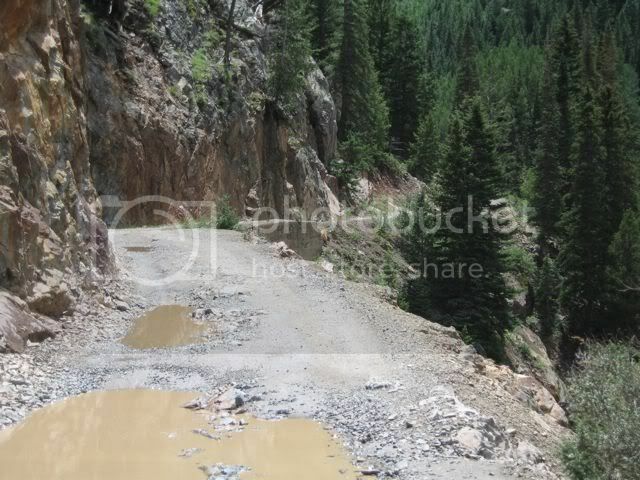 The Alpine Loop is basically two routes that were originally mining roads from the 1800’s. 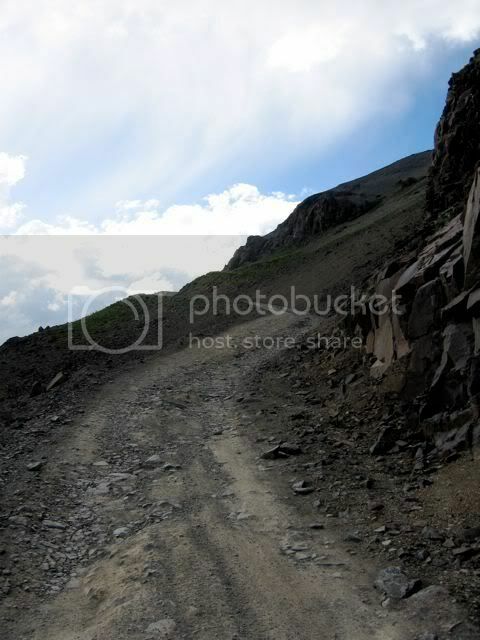 One route traverses the upper slopes of Engineer Mountain (13,218 feet) via Engineer Pass at 12,800 feet in elevation and the other route has Cinnamon Pass at 12,640 feet in elevation. 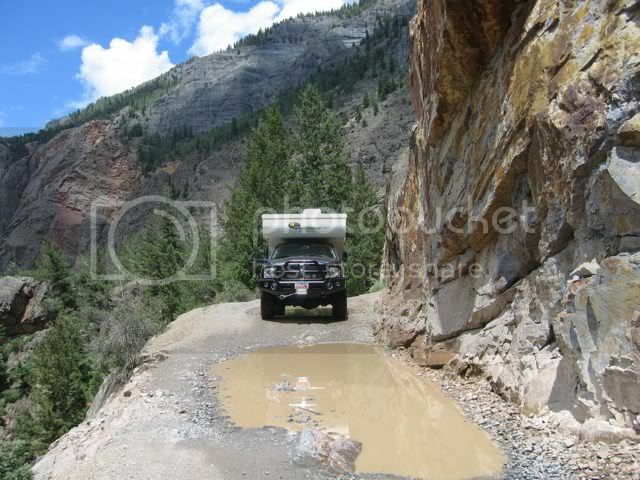 Ophir Pass is not physically connected to the Alpine Loop, but we also did this 4x4 route on our way back home to Utah as something of a short cut. 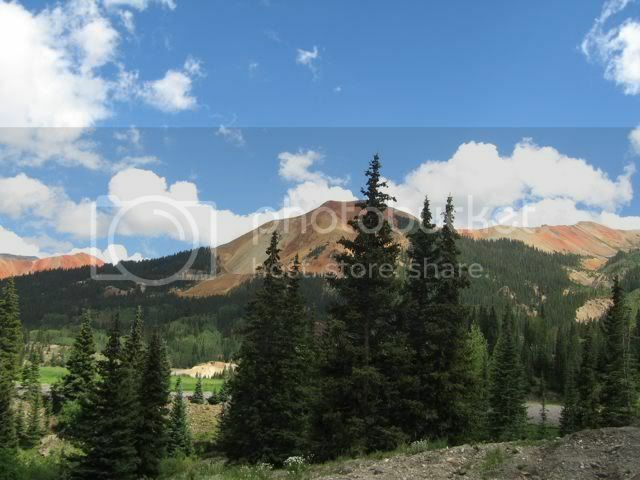 Ophir Pass (at 11,789 feet in elevation), is located between Silverton on Hwy 550 to the east and Telluride on Hwy 49 to the west. 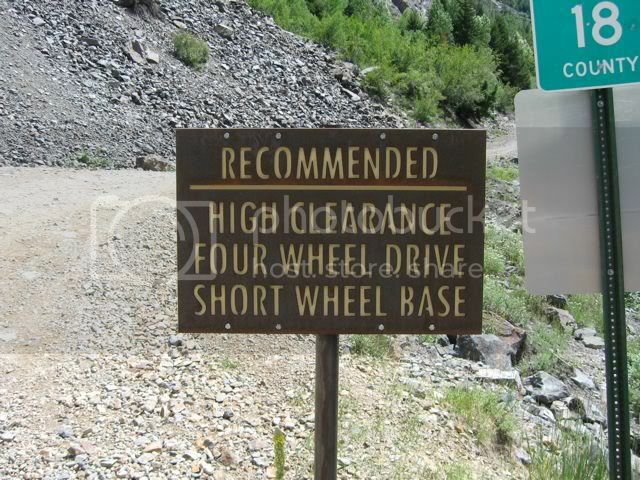 By the way, much of these routes are 2WD rated in good weather conditions, and if for example, you travel either the Engineer Pass or Cinnamon Pass routes from east to west from Lake City, you will likely wonder what all the big deal is about as the graded roads are typically wide, not all that steep, and in good shape for many miles before becoming 4WD rated (16 miles for the Engineer Pass road and 21 miles for the Cinnamon Pass road from the respective route starting points in Lake City). 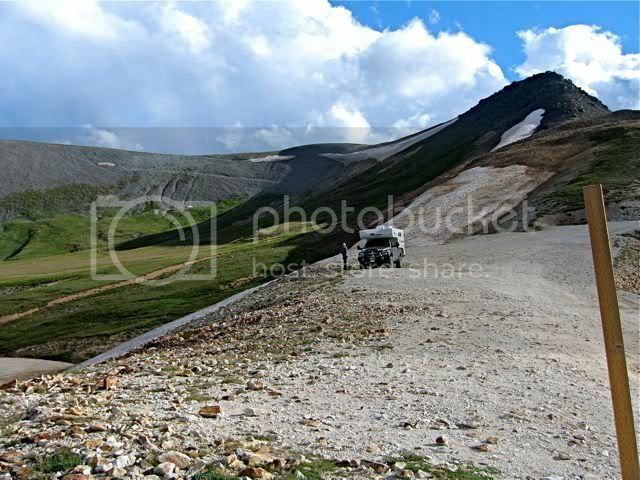 But once these routes change from 2WD to 4WD rated roads, and then you add the high-altitude mountain passes, narrow trails, rocky sections, and in some places tight switchbacks, it’s then in a whole different ballpark, especially for full-sized trucks with a TC on board (and you can certainly forget about anything like a Class A or even Class C when these roads transition from 2WD to 4WD ratings). The main issue we ran into (luckily not literally), was the surprisingly immense amount of traffic on all of these routes. 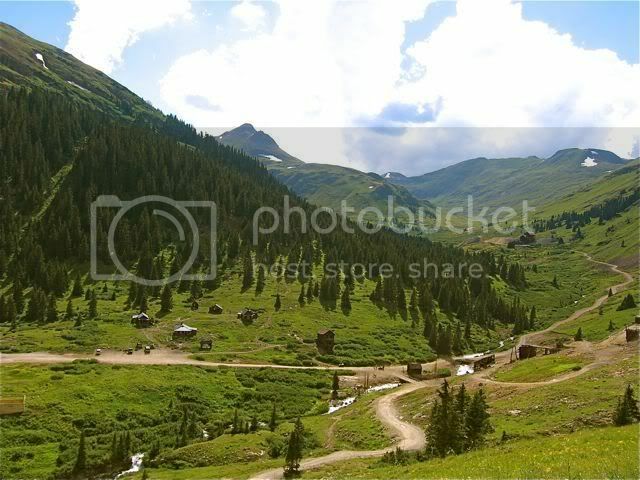 When we first went on these same trails in the mid-70’s, I don’t believe it had even been named the “Alpine Loop” yet. I am not going to say it hadn’t been “discovered” yet, but it sure has now. 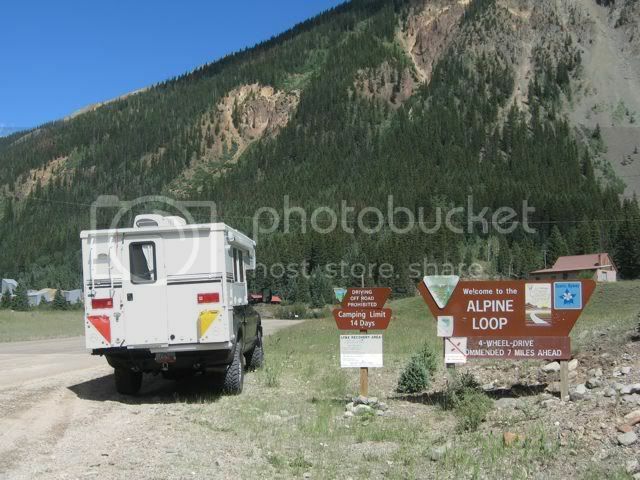 When we called the BLM in advance of our trip (who administers the largest part of the combined Loop trails area), they said that they were typically seeing an average of 100 vehicles per day on the combined Loop roads. Well, we’ve got news for the BLM, we must have easily seen three to four (or more) times that amount per day (and it basically remained that way throughout our three days in the area). 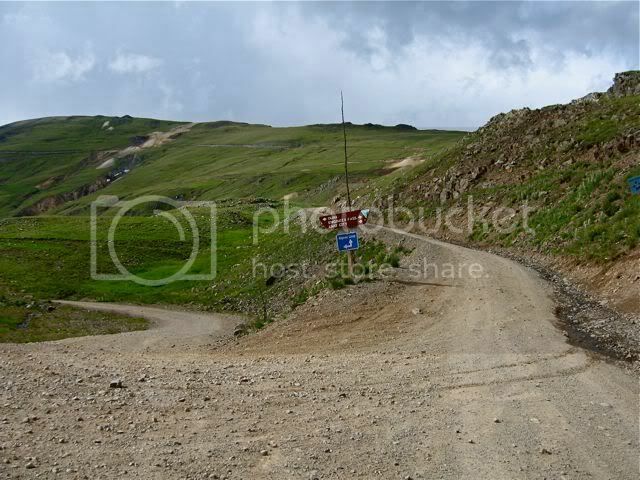 The place is now literally crawling with ATV’s, dirt bikes, and small 4x4 vehicles coming and going every which way (and many not being driven all too carefully for the terrain). 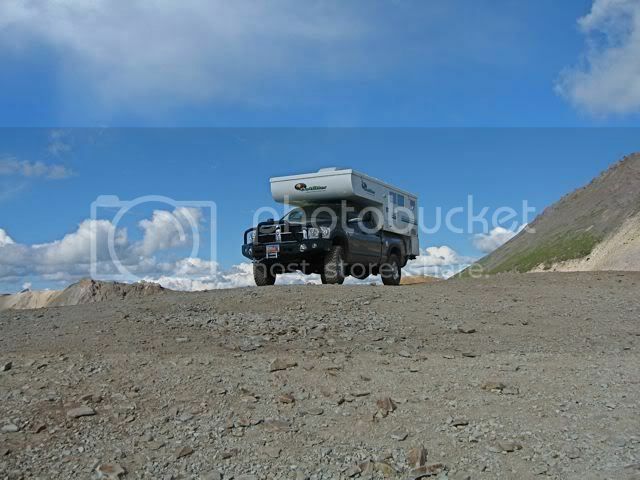 Now if you’re in another small vehicle, getting around each other is not too big of a deal in many spots, but when you’re driving a full-sized truck with a camper on board … well, let me tell you, it’s a whole ‘nuther situation that ain’t too pretty or comforting. 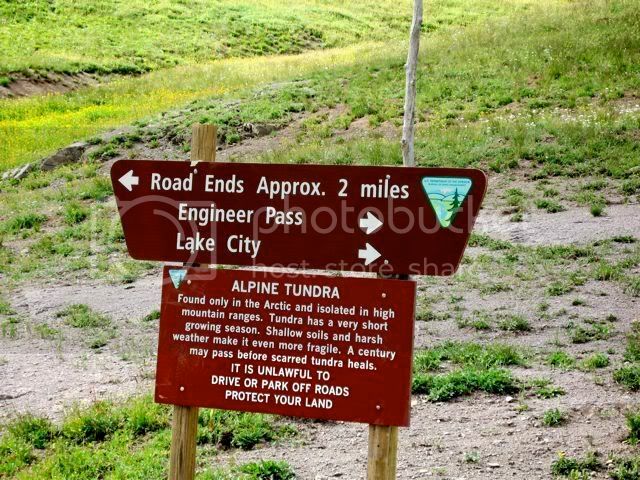 The Alpine Loop can be done from either west to east or east to west, and one can do either the Engineer Pass or the Cinnamon Pass portion of the loop first or second. 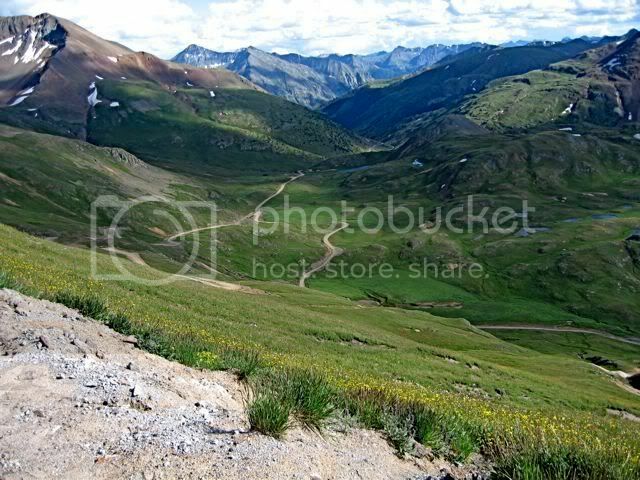 That said, if coming from the west, it seems more typical to do Engineer first from Silverton to Lake City, and then to do Cinnamon Pass from Lake City back to Silverton. 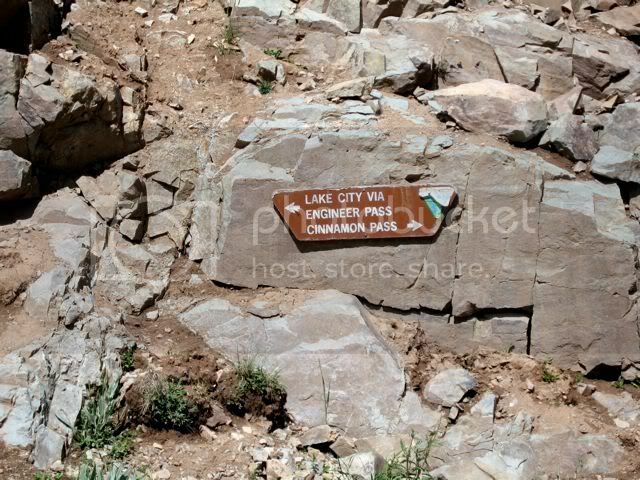 If coming from the east, it is more typical to do Cinnamon Pass first from Lake City to Silverton, and then to return to Lake City via the Engineer Pass route. That said, some folks reverse this approach. 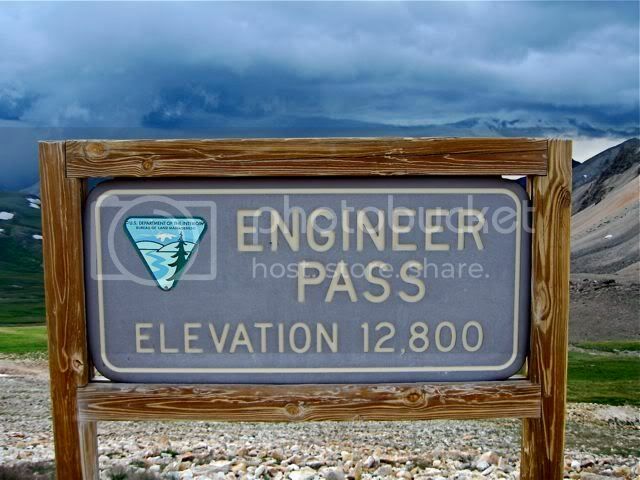 Since we live about 2.5 hours to the west, we first went east on the Engineer Pass route and returned westward over Cinnamon Pass. Also, either leg, as well as the combined Loop, are not that long in terms of total miles (approximately 65 to 78 total miles in length, depending on entry point and sub-routes taken). 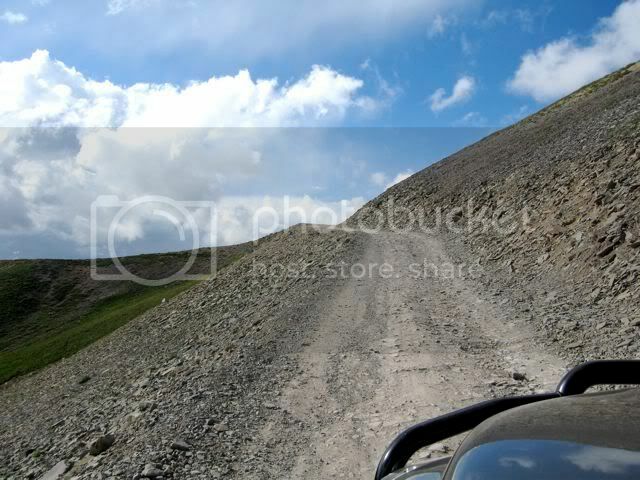 In fact, if you have a Jeep, ATV, or other small 4x4 vehicle and get a good start, you can traverse the entire Loop in one long day (weather permitting). 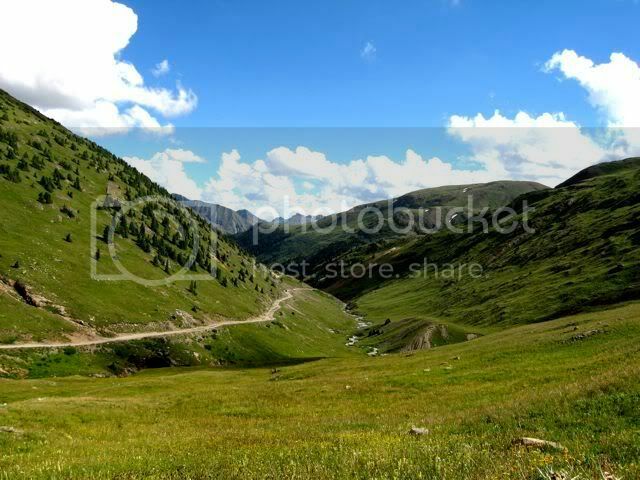 However, to do this, you really have to keep moving, and with the numerous “oh my” stops, the many photo opportunities, short side routes that beckon, along with fishing opportunities … it really should be done over at least a two day period so it can be more fully enjoyed. 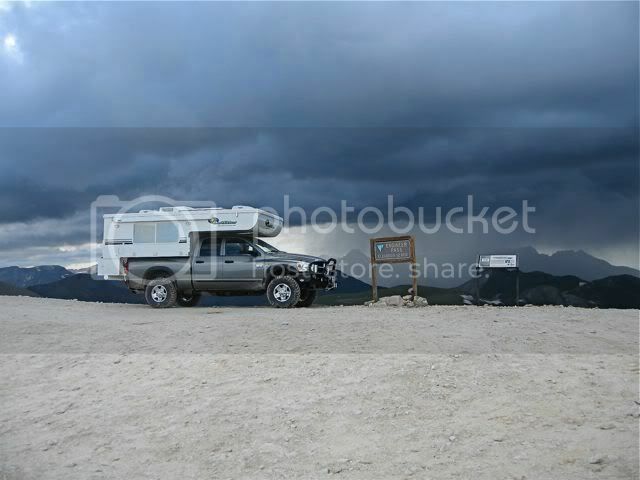 We chose to take four days with camping three nights. 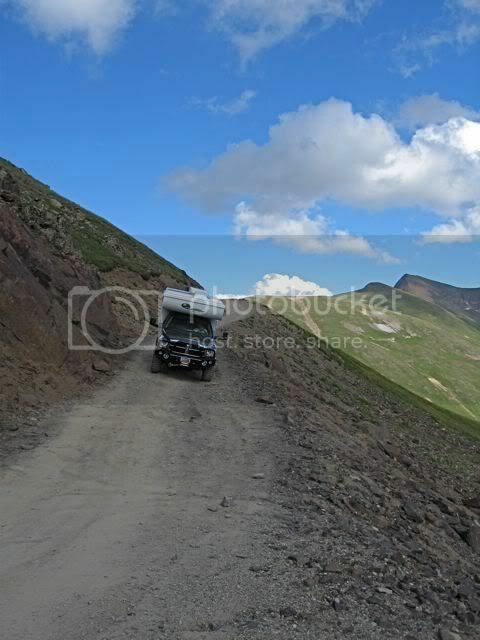 In terms of the trip report itself, I was initially going to split it up into 3 parts … the Engineer Pass route, the Cinnamon Pass route, and then Ophir Pass. However, as I proceeded to put Part 1 together, it became obvious that this 3-part approach was going to make for excessively long reports. 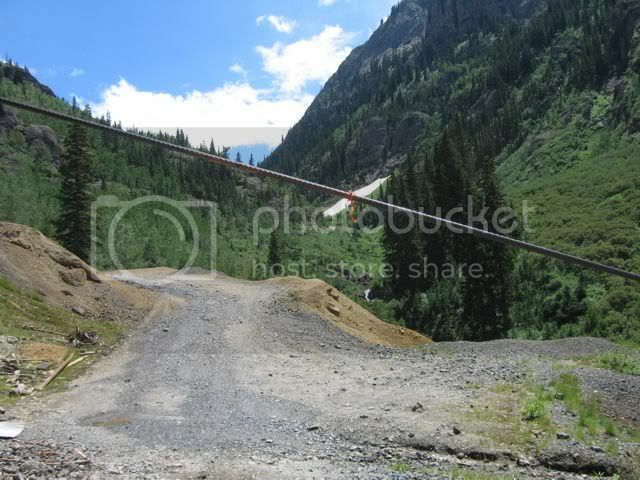 Based on this, I decided to spilt it up into 5 parts as follows: Eastern Utah to Engineer Pass, Engineer Pass to Lake City, Lake City to Bent Creek & American Basin via the Cinnamon Pass road, American Basin over Cinnamon Pass and back to Animas Forks/Silverton, and finally, Silverton to Ophir Pass and back home via Telluride. 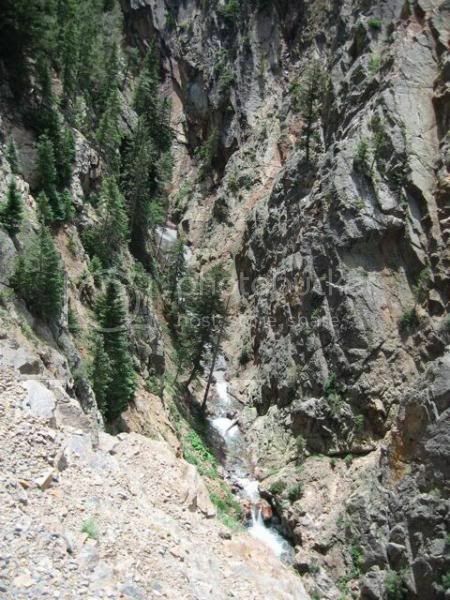 And while I will make some comments during the multipart write-ups as to road conditions, obstacles, and other issues relating to trail difficulty as a function of TC rig type, I will mostly gather and summarize this type of information in Part 5 so it is one place. 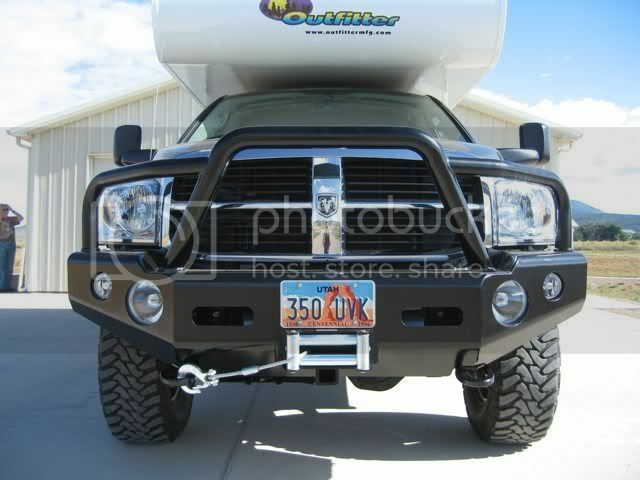 Truck Info: 2007 Dodge Ram 3500 Heavy Duty QC SB SRW 4x4 with 6.7L Cummins turbo diesel, 68RFE 6-speed automatic transmission, 9.25 AAM front axle/11.50 AAM rear axle with AAM TracRite-GT limited slip differential (gear type), factory exhaust brake, 35x12.50 Toyo Open Country M/T tires mounted on Dodge Power Wagon 17x8 forged aluminum wheels, Tuff Country 2.5" front leveling kit, Firestone Ride-Rite air bags (with in-cab controls, compressor & tank), Rancho RS9000XL shocks, full array of Power Wagon skid plates, Defiant front Rock Shield, Defiant/Radflo steering stabilizer, Defiant steering box sector shaft support assembly, Amp Research power retractable running boards, Buckstop Baja front bumper with Warn 16.5ti 16,500 winch, 6" PIAA 580 driving lights, and 4" PIAA 510 fog lights, Road Armor rear bumper with PIAA back-up lights, and Line-X sprayed-in bedliner with Line-X Xtra Kevlar overcoat. 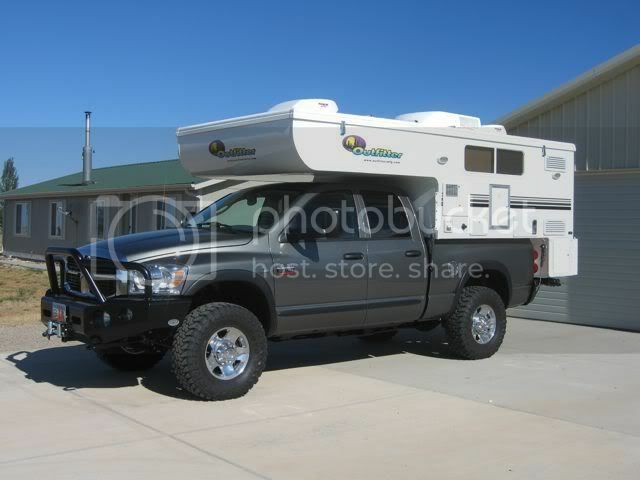 TC Info: 2007 customized & modified Outfitter Apex 8 pop-up camper with extended cab-over, 220W solar, Blue Sky Solar Boost 2000E MPPT controller, twin 6 volt T-145 Trojan batteries, Xantrex Prosine 2000W inverter/converter/charger, Honda EU2000i generator, Tundra fridge, Polar Cub A/C with remote digital thermostat/controls, Suburban 20K BTU furnace, Atwood XT water heater, ShurFlo Extreme 4 variable speed water pump, Thetford toilet, shower, 44 gallon fresh/16 gallon gray/16 gallon black water tanks, Suburban cook top with oven, microwave, front/rear Fantastic fans, Happijac tie-down system with Fast Guns, electric Happijac jacks, side/rear awnings, and AM/FM/CD/iPod stereo system with inside & outside speakers. 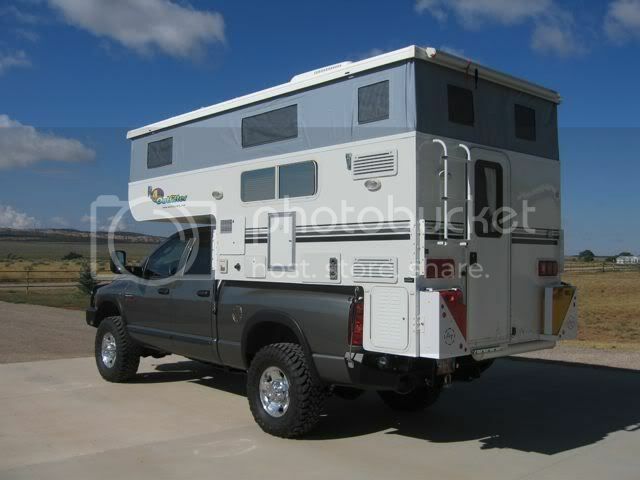 Off-road travel modifications include removal of front & rear jacks, reinforced front & rear tie-down turnbuckle anchor points, positive closure latches for selected doors/drawers, enhanced tie-down system for Honda EU2000i generator, and rear-mounted 5-gallon diesel/5-gallon gas Scepter (NATO style) fuel containers. 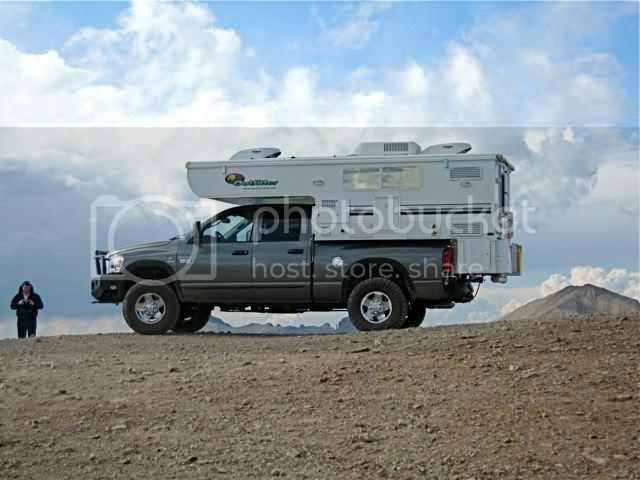 - All Toyo Open Country tires inflated to maximum pressure of 65 psi (never had the need to air down off-road due to no loss of traction at any point on the trip). - Rear Firestone Ride-Rite air bag inflation: drivers side = 65 psi, passenger side = 50 psi (in light contact with factory overload springs). - As part of the Part 5 trip report write-up, I will include a comprehensive list of the tools, spare parts, recovery gear, and other items I took along for this trip. By the way, many folks who have Class A, Class C, and TC’s camp in the flats around the Eureka area just before getting to this sign. 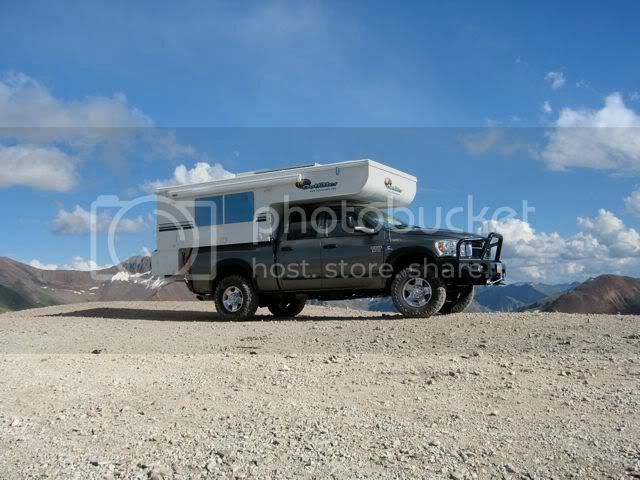 Many such RV’ers have ATV’s, dirt bikes (motorcycles), or small 4x4 vehicles that they do the more difficult 4x4 sections of the Alpine Loop with and use this area as a base camp and staging area. 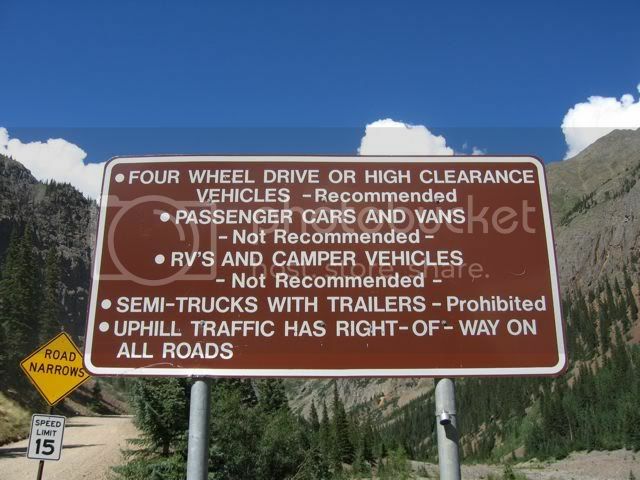 By the way, we only ran into one other truck/TC combination on the entire length of the rest of the Alpine Loop (and that was a pop-up in the lower section of American Basin on the Cinnamon Pass road … which will be described in Part 3). 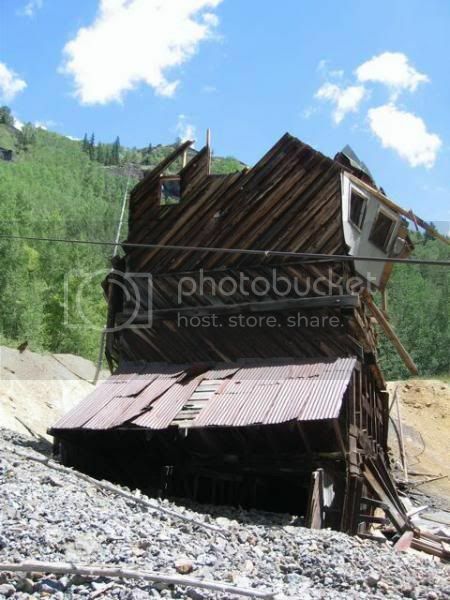 We drove by Animas Forks, which is a classic old ghost town from the mining heydays in the 1800’s (which we come back to on the return trip over Cinnamon Pass). 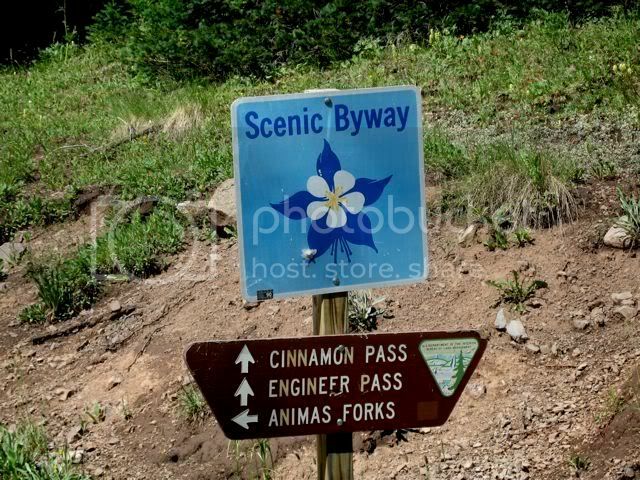 The first sign below is of the Animas Forks sign on the way up to the Engineer Pass and Cinnamon Pass roads. 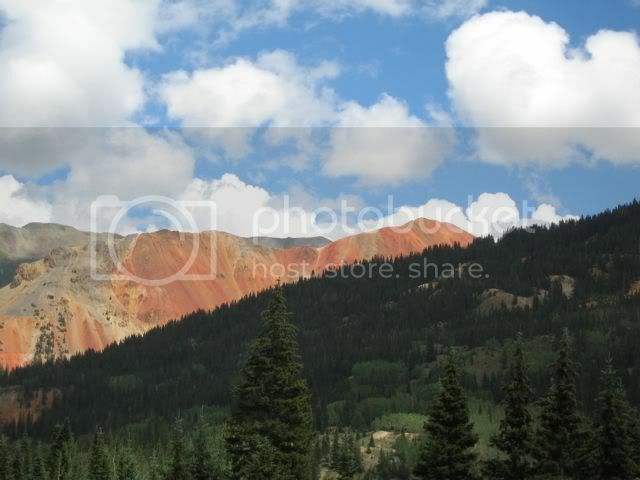 The second pic is of Animas Forks, looking back up into California Gulch. And if you haven’t had enough of Oh! Point, here are links to two videos. 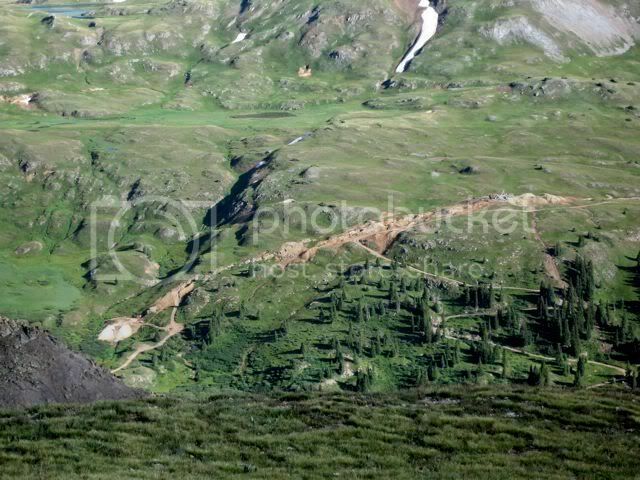 Keep in mind that I had never used the video function in my camera before, and was attempting to learn the necessary techniques at almost 13,000 feet in elevation with the wind absolutely howling at the time. Also, because I didn’t have my laptop with me, I was worried about using up too much memory on the flash card in my Canon PowerShot SD500 7.1 mega pixel Elph, so I elected to take the videos with my much older Canon PowerShot G1 3.3 mega pixel camera. This turned out to be a mistake, as the difference in resolution and clarity between the two cameras was striking (which I only discovered after the fact). Due to this, the resultant videos are pretty grainy and significantly suffer in appropriate production values. Oh well, there’s no cost for admission (although I am honestly reevaluating that policy). By the way, there is no intended narration for these two videos. However, beyond the buffeting wind sound in the background, you will hear the fledgling cinematographer uttering something quite professional about “(it) doesn’t tell me that it’s working” near the beginning of the first video (but, being the trooper he is, he nevertheless just kept panning away). Anyway, video 1 is a panorama counter-clockwise, and video 2 is clockwise. And don’t bother popping any popcorn … the movies aren’t that long, the character development is nonexistent, and the plot line is quite thin. Perhaps I might suggest a couple of stiff drinks instead, as that might yield the simulated impression of better production values. 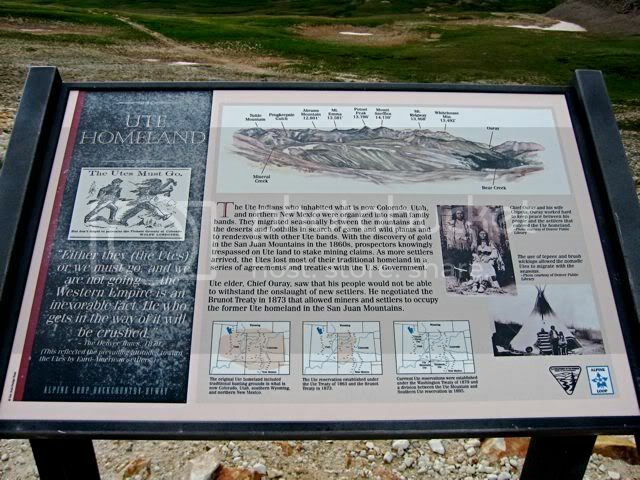 Here is a close-up of the interpretive sign at Engineer Pass. 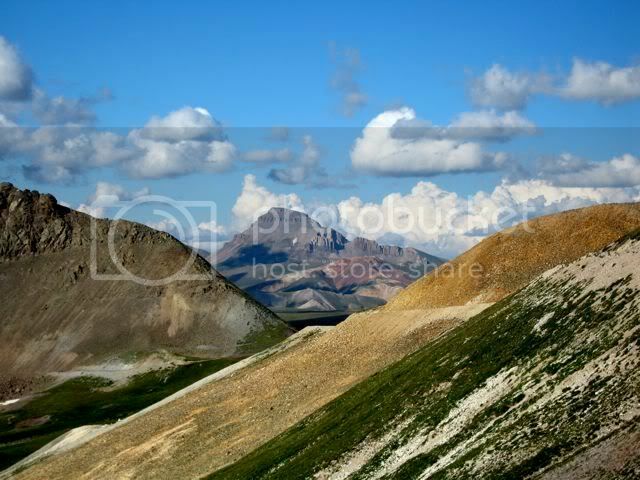 Note the profile of the depicted mountains to the northwest. 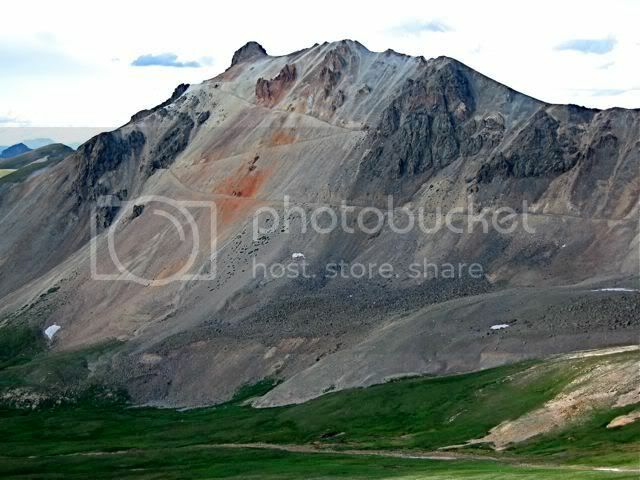 These represent the main mountains outside of Ouray that form the rugged valley that the Camp Bird road is in which leads up into Governor Basin and Yankee Boy Basin, which is another wonderful backcountry route to take for its rugged and scenic values (typically in a Jeep or other small 4x4 vehicle). 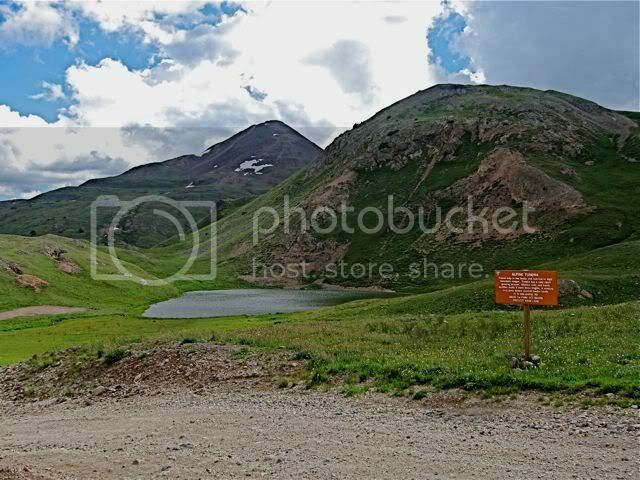 This road system (near the Camp Bird mine) is also the beginning (or end), of the Imogene Pass road which goes to/comes back from Telluride. 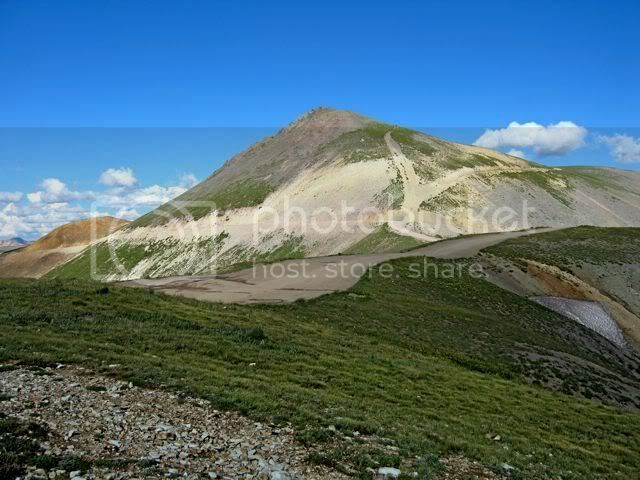 In both of the above photos, you can clearly see Potosi Peak (13,786 feet high) to the left (the one with the small, flat-topped summit). 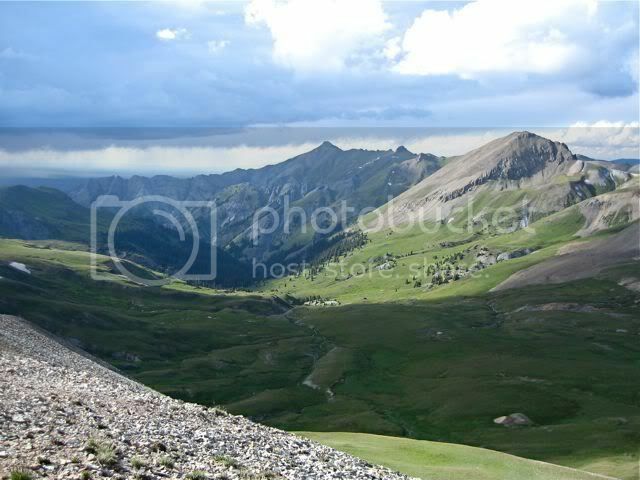 Mount Sneffles (14,150 feet high) is a bit obscured just to the right of Potosi Peak (which is a fourteener that Janet and I climbed to the top of in the ‘80’s). Definitely not the place to be at the moment. At the time we took these pics, the already blustery winds had picked-up considerably, a number of dust devils were swirling around us, and a few rain drops were beginning to come down. 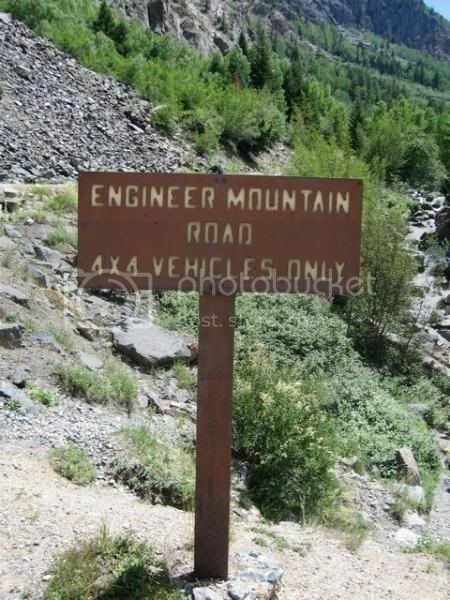 Time to get ourselves down off of Engineer Pass. 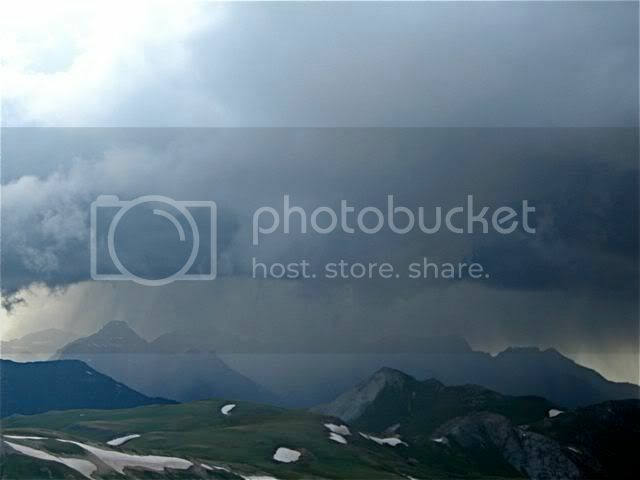 In the meantime, we will leave our intrepid extreme TC’ers stranded in mid-air on Engineer Mountain, with high-mountain thunderstorms rapidly approaching. 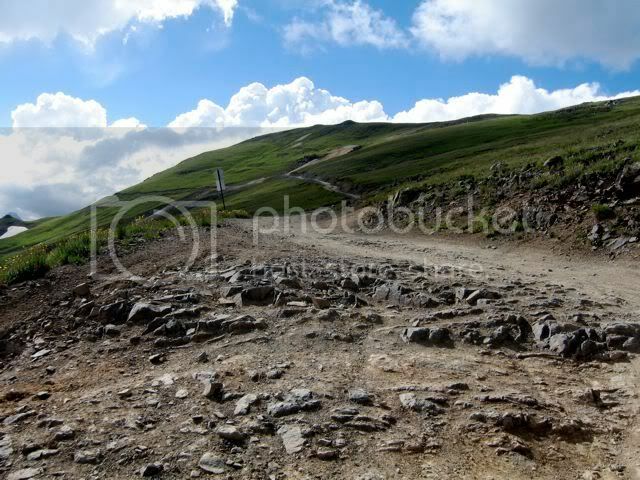 Will they make it safely down the mountain to their first campsite? And what will they have for dinner? Most importantly, will there first be time for Margaritas (as was expressly specified on the day’s agenda)? Who knows, but by all means, stay tuned for the next action packed episode in Part 2! 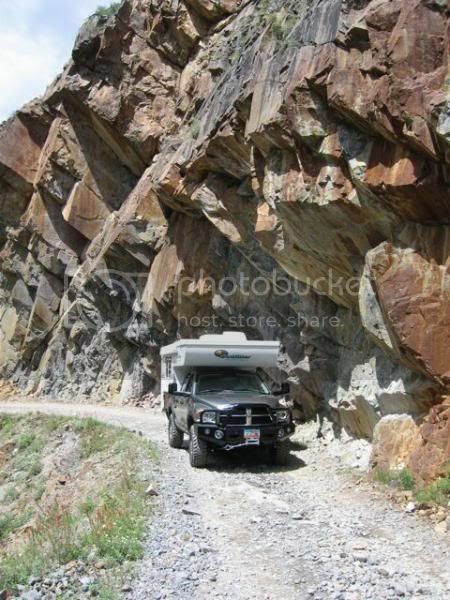 Spectacular looking trip, thanks for sharing the great photos/commentary. Keep 'em coming. 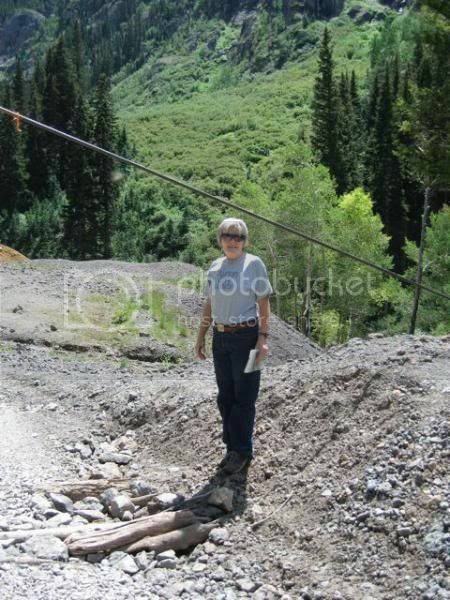 This Nevada boy on the eastern slope of the Sierra wanna see what you UT/CO folks got. 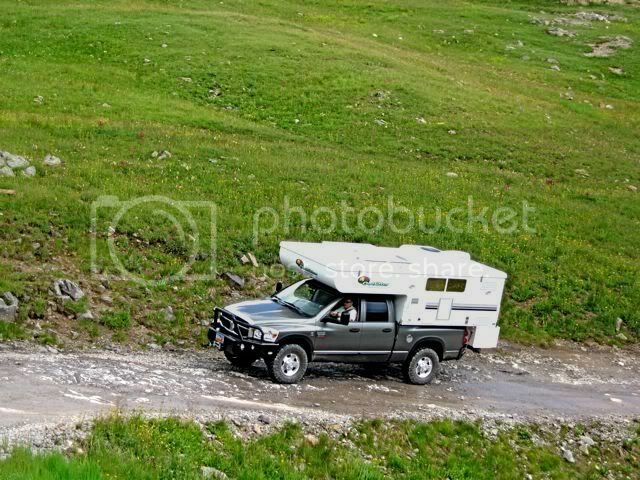 Good luck and good camping. Quite the trip. 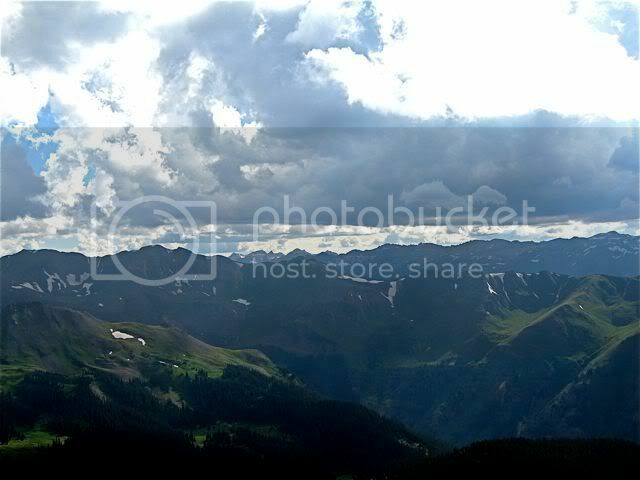 I drove to the top of Pikes Peak in a Mustang Convertable a few years back. Your trip is much more manly. Looking forward to the next segment of your trip. "Without challenge, adventure is impossible". Great start Don. You may have set a new standard for trip reporting...looking forward to the rest. Fantastic! With a hardside TC we won't be following in your footsteps but WOW - can't wait for the next installment. 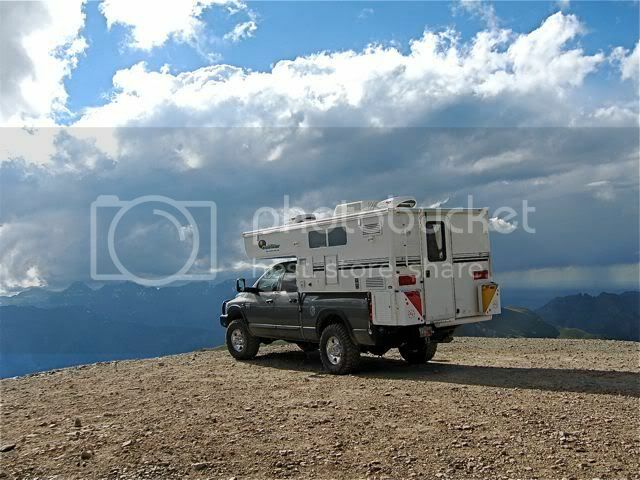 Great pics and write up, it sure brought back some memories (my wife & I did that drive about 5 years ago in our truck; F350 Crew Cab, never again, I'll rent a Jeep). 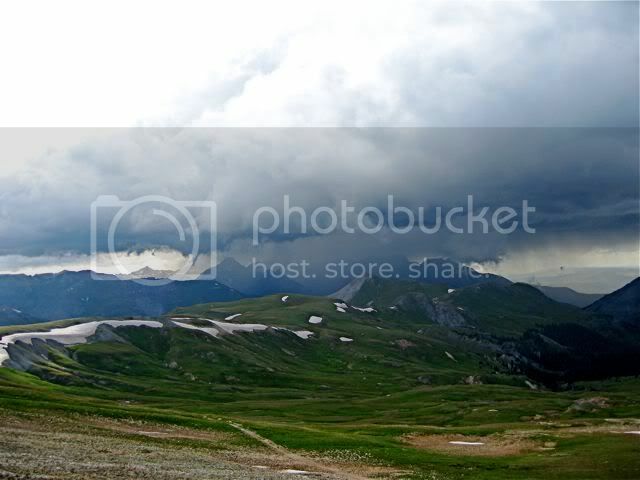 We camped at little Molas pass (around 11,000ft where we were) and the night after we drove the loop, it snowed a few feet on the loop(we could see it from our camp site) & we had about 8" on the ground by us that next morning, in July. 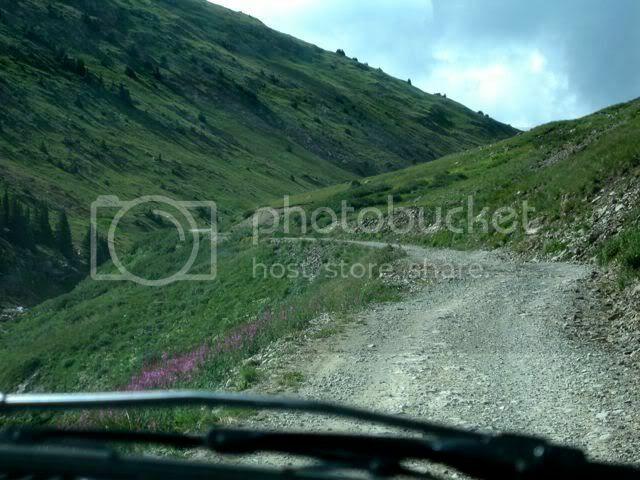 The drive wasn't too bad, until I made a wrong turn in the beginning and we ended up lost on some ATV/motorcycle trail, you should have seen me turning our truck around.... then the real fun began. P.S. That's a sharp looking rig!